The former KwikFit site on London Road is in desperate need of redevelopment. It is all the more disappointing therefore that the latest plans are proving so controversial. This is a sensitive site at the gateway to the Conservation Area and in clear view of Mitcham’s historic cricket ground. 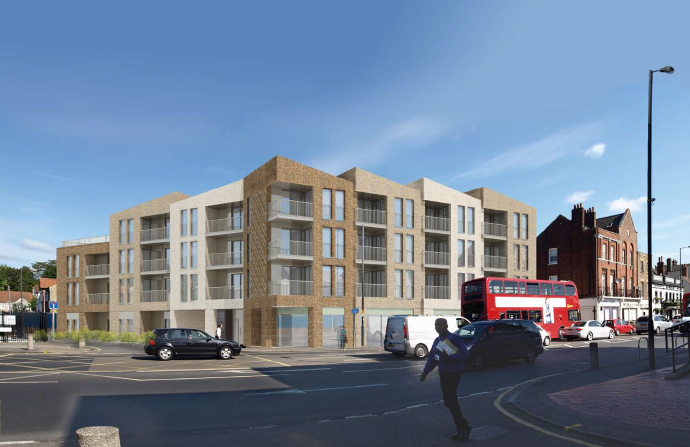 A four storey block of 22 flats overshadowing nearby buildings is never going to be acceptable. 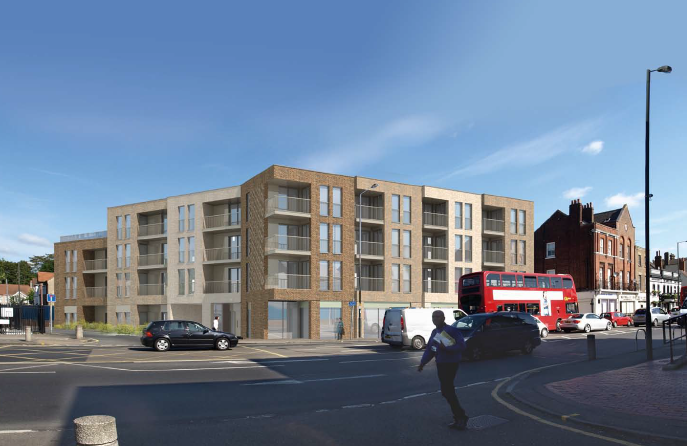 All the more disappointing is that the plans have been amended without Merton Council informing the local community. The latest scheme is even higher and introduces a jagged roof line that is alien to the area. We have objected and ask the developers Caerus to think again and come to the table to discuss how we can agree on the much needed development of this eyesore site. See below for two images showing the original and revised plans, and click the link to read our representation. 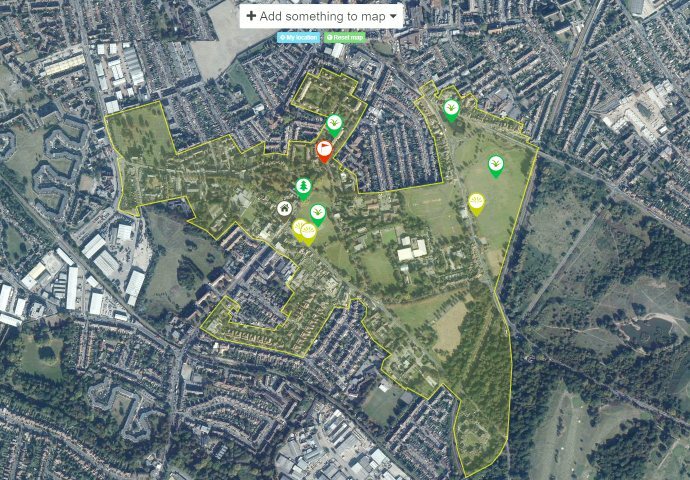 This entry was posted in Cricket Green Conservation Area on January 10, 2016 by mitchamcricketgreen.